It was a fight to the finish at the final WORCS race of the year in Primm, Nevada, October 28. Zach Bell (Husqvarna) and Taylor Robert (KTM) battled the whole race, which wasn’t decided until a last-lap shootout between the two rivals. Bell and Robert went back and forth during the final go-around, with Robert passing Bell just a few turns from the finish, but that wouldn’t be the end of it. Robert then overshot a turn, which allowed Bell to slip past him. Bell then won the sprint to the finish, snapping Robert’s WORCS win streak. Robert had won every WORCS race that he had entered since 2012, though he missed a few rounds with injury. Finishing out the race in third was the 2017 WORCS Champion Gary Sutherlin. The Suzuki rider fought his way up through the pack and made a late-race pass on Justin Seeds to sneak onto the podium. But the man of the hour was fourth-place finisher Giacomo Redondi (KTM) who came away with the 2018 WORCS title. The Italian rode conservatively and did what he needed to do to capture the number-one plate for next year. 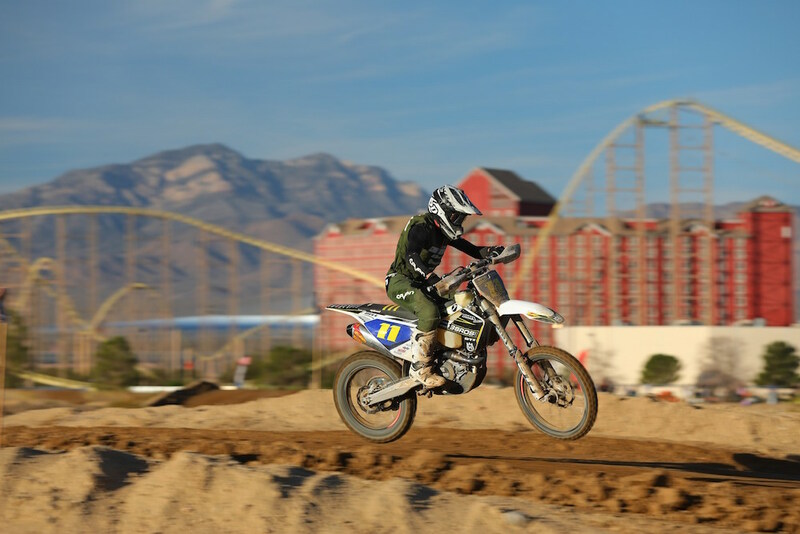 In the Pro 2 class, Tallon Lafountaine captured his second win in a row, while Mitch Anderson (KTM) claimed the class championship with third. 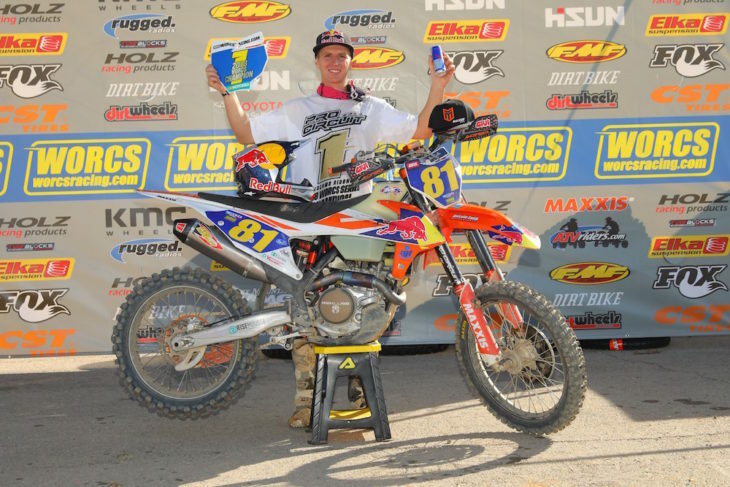 Anderson finished on the podium in all eight races, taking one win along the way. Mateo Oliveira (KTM) took the Pro 2 Lites-class win, but it was seventh-place finisher Spenser Wilton who came away with the class championship. Click here for all of the latest WORCS racing news.